Only 2 2.0T SE R-Line models left in stock! Valid on purchase of new vehicle only, no lease. May not be combined with other offers such as special financing, outside cash or cash only. Must finance with VCI using standard rates. 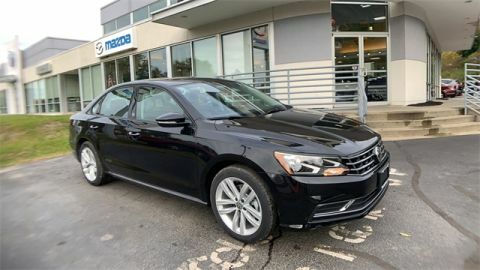 2019 Golf, 2019 GTI, 2019 Jetta, 2019 Tiguan and 2019 Atlas: Must finance with VCI using dealer choice program. All 2019 are also eligible for a $500 college grad (for those who have completed a degree from an accredited school within two years of application) and $500 Military and First Responder Discount. Not all will qualify. All offers valid 4/2/2019 – 4/30/2019. 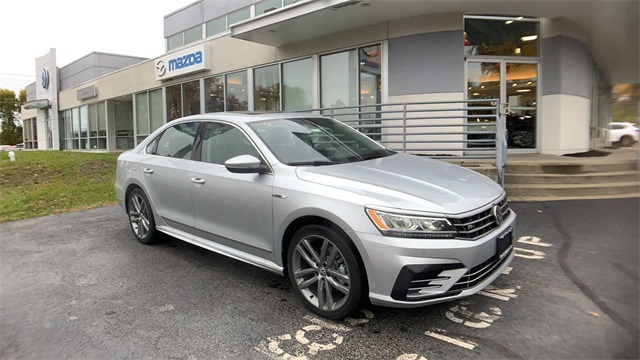 Reflex Silver Metallic 2019 Volkswagen Passat 2.0T SE FWD 6-Speed Automatic with Tiptronic 2.0L I4 TSI Turbocharged Black Artificial Leather. Opened by Irwin Cooley, Cooley Motors has served as the longest standing Volkswagen dealership in Upstate New York. Having served the Capital Region since as early as 1966, our team takes great pride in being a family owned and operated business since our inception. Our new car dealership in Rensselaer features dual showrooms, displaying the newest Volkswagen models. Not only that but with an onsite Service Center, you can count on our team to assist you with your every automotive need. 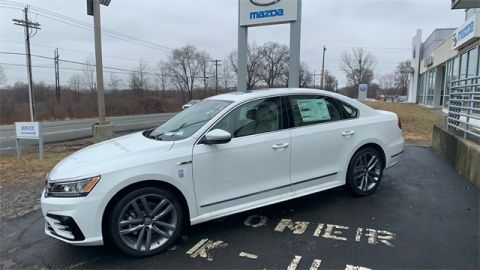 Visit our new car dealership in Rensselaer, and you’ll be pleased to find that our knowledgeable sales staff are Volkswagen certified. Our team members understand that the automotive needs and tastes of our Albany, Pittsfield, and Queensbury area customers vary greatly, and with this in mind, our team takes great pride in providing each of our customers with an enjoyable car shopping experience. And when it comes to keeping your vehicle in top-notch condition? We encourage you to make our Service Center your very first stop. Not only are our mechanics able to service all makes and models, but we’re also able to provide our customers with loaner vehicles, rental cars, and shuttle service. Not only that, but when you purchase a new or used car from our team, your first oil change, along with your yearly NYS inspection are complimentary. Receive a minimum of $500 OFF and financing; if you are graduating within the next six months or have graduated within the past 24 months! Please visit our <a href=”https://www.lindsayvolkswagen.com/college-graduate-program/” target=”_blank” rel=”noopener noreferrer”>College Grad Page</a>, and contact the Sales Department for further Qualifications. While the program applies to all Used &amp; New ’17, &amp; ’18 Model Years, the $500 Bonus is <strong>ONLY APPLICABLE</strong> towards New Vehicles. <strong>NOT APPLICABLE</strong> towards the VW Golf R.
Receive an additional $500 OFF our Website “Sale Price”; if you are an Active Duty, Veteran, or a Retiree of the US Military, <strong>OR</strong> a Police Officer, Sheriff/Sheriff’s Deputy, Correctional Officer, State Trooper, Federal Law Enforcement Officer, Firefighter, EMT, or a Paramedics. 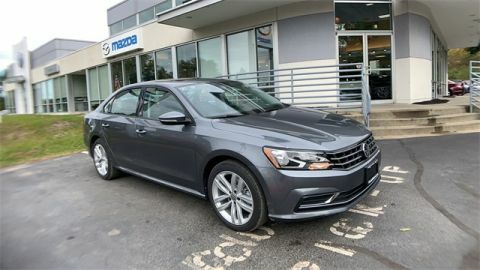 Please visit our <a href=”https://www.lindsayvolkswagen.com/military-first-responders/”>Military</a> &amp; <a href=”https://www.lindsayvolkswagen.com/military-first-responders/”>First Responders</a> Page or contact the Sales Department for further Qualifications. <strong>NOT APPLICABLE</strong> towards the Golf R!